Aquafibre 42 having just been fully refurbished internally and re painted externally. Presented in good order throughout she benefits from having diesel fired warm air heating, good size calorifier and immersion heater. She has a modern 50hp Nanni Diesel engine. Kept to her original layout which offers 3 separate cabins each with a double berth, 2 heads (1 en-suite to fwd cabin) and further berths in the cockpit saloon if required. Ideal for exploring the inland waterways with family and grandchildren. 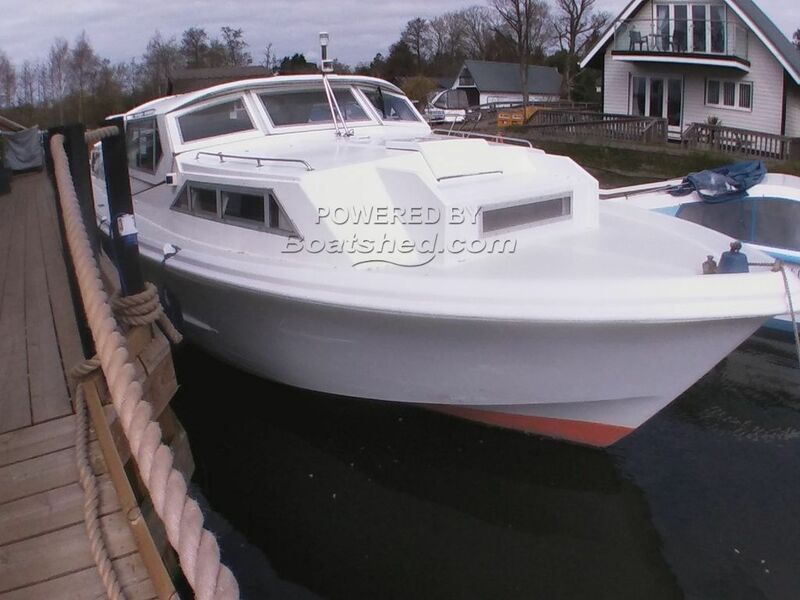 This Aquafibre 42 has been personally photographed and viewed by Gary of Boatshed Norfolk. Click here for contact details.